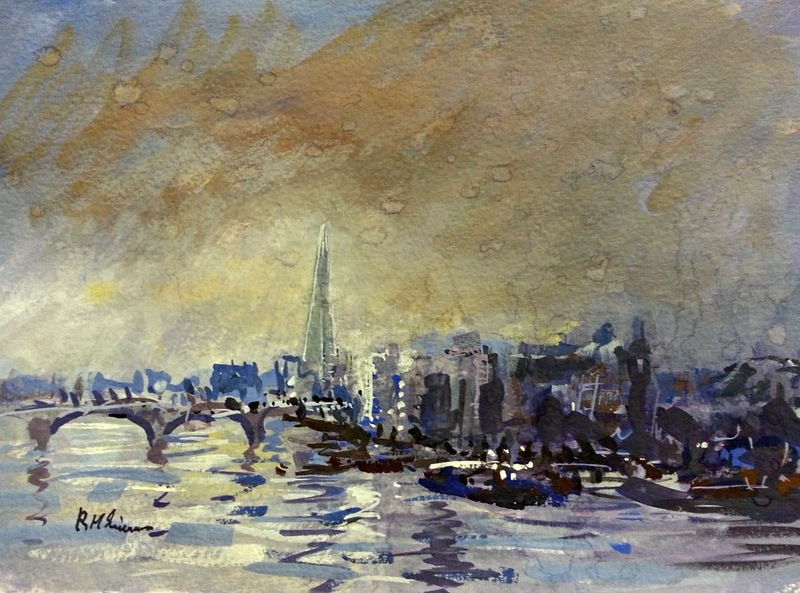 RoyTheArtist and Friends: Impression, London Gouache. I really admire your technique here Roy, I believe you are a natural impressionist! The same goes for Trafalgar square in the previous post. I've never tried gouache but your work would inspire anyone to try it. Wonderful pictures! Thanks Kev, I do enjoy these but also have a love of transparent watercolor, one day may try more to 'fuse' the two ways of working.